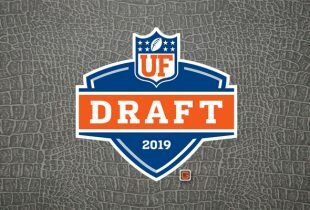 In the span of just a few days, Florida Gators football has lost three scholarship players with the most recent departure coming following a routine medical examination. Florida announced Thursday that three-star freshman signee Randy Russell will not be able to continue his football career after a recent cardiac “abnormality” was discovered during his standard pre-participation physical. Russell, who was expected to see time on special teams and at safety this season, will remain “part of the Gator football family” and stay enrolled at UF, according to head coach Dan Mullen. “As tragic as this is for Randy and his family to hear this news, this discovery is life-saving for him,” the coach added. Russell announced on his own that he has been diagnosed with hypertrophic cardiomyopathy, a rare condition of an abnormally thick heart muscle that makes pumping blood more difficult for the heart. He said he “intend[s] to be apart of the football program” at Florida and mentioned head trainer Paul Silvestri as someone he might be able to work with going forward. This comes on the heels of a heart issue being discovered in wide receiver James Robinson prior to the start of the 2017 season. Robinson spent his freshman year undergoing testing and waiting for a final word on his situation. It was determined in early December 2017 that he would not be able to play football again. Also this week, redshirt freshman defensive lineman Jordan Smith and freshmen offensive lineman Kadeem Telfort announced they would transfer. Both Gators were involved in the credit card fraud scandal last offseason and were indefinitely suspended from the team throughout 2017. Smith announced his decision was “due to my recent actions and coaching changes.” It was not anticipated that either would be returning to the program. Junior wide receiver Antonio Callaway already announced he would move on to the NFL. Florida is either waiting to decide on or hear from junior running back Jordan Scarlett, the second-most talented player (behind Callaway) involved in the incident. Crushing about Russell. Was loving reading about the hard-hitter, his recruiting experience, and his great, enthusiastic attitude about becoming a Gator. Seems like a special kid and I wish him the very best in all of his endeavors moving forward. Also glad that Coach Mullen is taking a classy approach to the situation. The way a head coach represents our school is HUGE to me. . so far, A+ for Coach Mullen and his staff.